To check our actual offers in Hamburg, please use the white form above. Just enter the desired dates, time and pick-up/return location. The most recent car booking in Hamburg has been made on our website 4401 minutes ago.. In Hamburg, we offer for rental 11+ car categories from 68+ rental suppliers. OrangeSmile provides one of the lowest rental prices on the worldwide market. You can save on your car hire in Hamburg even more: (1) by renting your car purely at an airport with the pick-up/drop-off at daytime; (2) by keeping the pick-up and return at exactly the same rental location in Hamburg; and (3) since rental prices in Germany are computed based on 24-hour interval, try to match this period and return your car just before your last 24-hour period expires. Additional saving can be achieved by making your reservation few months in advance. Rental rates in Hamburg increase as the rental date is approaching. To avoid financial risks in case of an accident or a theft in Germany, we advise to order an insurance package with the full franchise coverage (Zero Excess). You can do it directly at the rental desk in Hamburg, or during your booking time on our website. Before visiting your rental office, prepare all the required papers that are specified in your voucher, plus, a printed map of Hamburg. Pile the documents together to act quickly at the rental desk during pick-up. Do not forget to examine the car conditions prior to leaving the rental parking in Hamburg: wheels, windows and chassis for scratches and other defects. Check against your rental document whether all the defects are already specified. Rental offices in Hamburg are sometimes strict on delays in car return, therefore, always try to bring the car back to the rental office at the specified time. 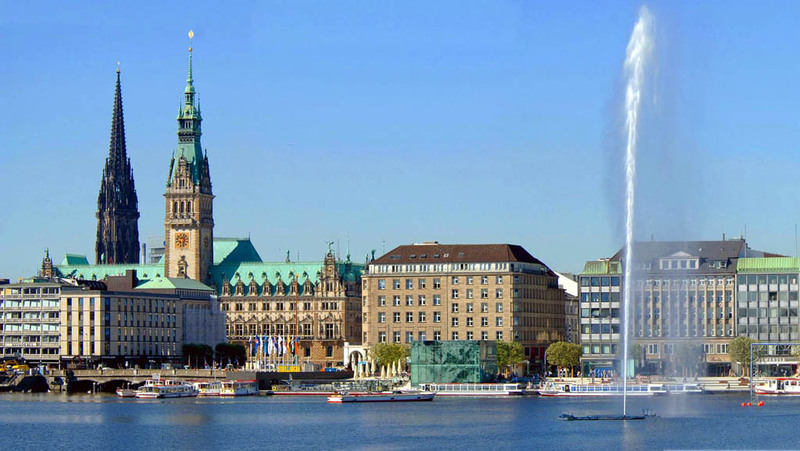 Explore Hamburg and Germany to the maximum, having your rental car as your friend always near! A huge part of ancient buildings in Hamburg was destroyed during war, but the main sight and the symbol of the city – Michelle Tower of St Michael Church that is 132 m high – was almost not affected. The city is divided into Old and New Hamburg by Alsterfleet Channel. Above the channel is built Trostbrücke Bridge that is among those rare facilities that have managed to survive in a fire in 1842. This bridge features panoramic views of all main sights in Hamburg that always attract visitors by their interesting architectural designs. Among these sights are also Town Hall, the oldest Exchange in Germany and the remains of St Nicolas church destroyed during bombings. Today these remains are considered an anti-war memorial. No need to say there are many museums, theatres, and libraries in Hamburg. Shopping lovers will also find much interesting in Hamburg as here are opened numerous expensive boutiques, trading centers, passages and other trading outlets.